“Sometimes,” so goes the adage, “in order to get to a good line, you have to write a thousand lines that are terrible.” That’s actually more related to scriptwriting, a line that has actually turned up almost without fail in every other scripwriting book. I’m more tempted to say ‘every’ without the ‘other’, due to the frequency of its appearance in such books. Come to think of it, perhaps it is one of the thousand lines referred to by itself. I can understand why, since it’s mainly to force people to write. Whether it works is probably another story, since it depends on the taste. In a way, both of the same principles would apply to Jean Claude Van Damme’s film, ‘JCVD’. 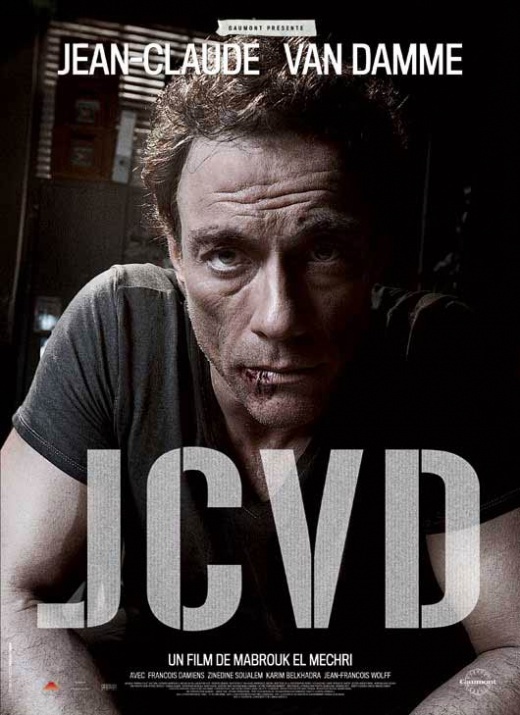 I would start by saying that ‘JCVD’ is a most unique line in itself. "Look, Jean-Claude, it's Steven Seagal!" For one, it takes the piss out of the star. There’s few other ways to describe it, and each of them would necessitate the convolution and complication of what is an extremely simple concept: the film takes the piss out of Jean Claude Van Damme. 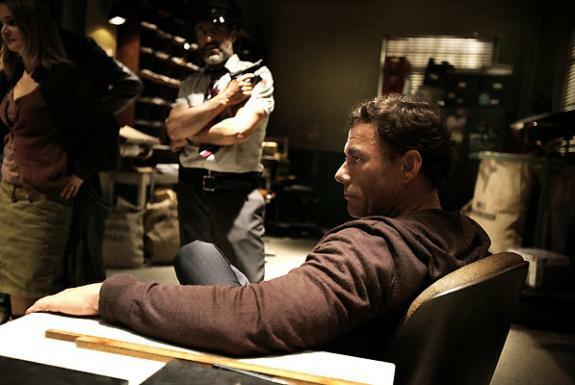 In that regard, it is not unlike ‘Being John Malkovich’, but the comparisons ends there; while ‘John Malkovich’ is more sombre and post-modern in its concept and execution, ‘JCVD’ is…mainly comic in nature. We follow Jean-Claude as…well, Jean-Claude. He is almost down and out, his last few films have been bombs and nothing new or interesting is on the horizon. In fact, almost nothing is on the horizon, with his agent failing to find him new movies, a judge willing to hand over his child to his ex-wife, and he doesn’t have a lot of money. Distraught over how life is turning out for him in Hollywood, he makes a quick return back home to Brussels. He steps into a post office to receive a wire transfer, and the next thing you know is “Van Damme is robbing a post office!” The film itself plays out from different perspective, and through this, we learn quickly enough that he happened to be in the wrong place at the wrong time: a robbery was already going on when he stepped in into the post office. Upon reflection, I figured that it served as a reminder that although this is a film starring Jean-Claude Van Damme (it’s even titled after him), but in so many ways, it is…not. It’s not your full-blooded martial arts fix, or even an action thriller of any kind. It is a comedy, at times fulfulling the laugh-a-minute, ratio, at other times simply astounding in terms of its technical and artistic achievements. 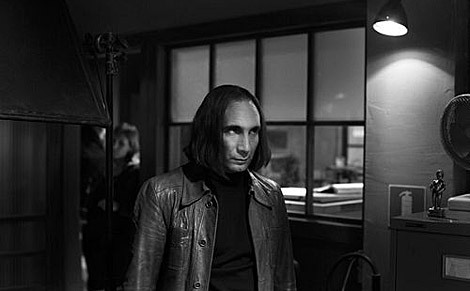 Before Hogwarts, Snape was a Muggle robber. Don’t believe me? Check out the opening scene, when we see Jean-Claude on a film set, tearing his way through the whole sequence. And it is a long one, a very long one, done within a single take. It appears to be a favourite of the director’s, Mabrouk El Mechri, and it would be repeated with even more skill, verve, and expertise throughout the film. We see this is as well in the part of the fan meeting Jean-Claude, before he enters the post office. One event, but it was told from several different viewpoints at different times of the film, slowly revealing and unravelling it. And each time, it was done within a single long take. For my part, having tried a similar trick with one of my short films, I can testify to the trickiness of the one-take concept, and I absolutely love it. Of course, by breaking away from whatever misconceptions that might hinder the film’s progress, it also allowed Van Damme more space and time to play around with. He gets to play a version of himself, and it is from here that we find most of the film’s energy. The comedy and the drama comes from him, and I am particularly surprised at the ‘drama’ part. 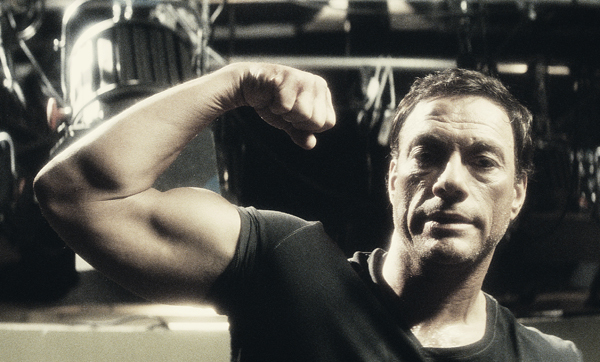 Van Damme proved himself to be a very fine actor indeed. Perhaps this is the real him, in which case it wouldn’t be all that difficult, or perhaps it is merely another persona of the actor. Don Van Damme doesn't quite have a ring to it. Nevertheless, he manages to squeeze and exercise his dramatic muscles, which I can’t remember ever seeing him do. Ever. Perhaps it was lost beneath all that ‘Bloodsport’ and ‘Timecop’ (my favourite of his films, by the day. I remember not being able to watch it when it first came out, but inadvertently caught it on a MAS flight anyway 🙂 ). If so, then this film, much like the story of the film, could well serve as a form of redemption and second coming of the man himself. Fikri loves the long monologue Van Damme did in the middle of the film. Priceless. SAANGATYA is organising film festival in july karnataka. Please refer good malasian movies. Saangatya republished ur kancheevarm article in saangatya.blogspot.com , If any details please send saangatya@gmail.com.